The writer is president of NOWPDP, a disability inclusion initiative. FOR those conscientious Pakistanis working for the social and economic progression of the disenfranchised, the provisional data representing persons with disability from the 2017 Population Census of Pakistan was, quite simply, appalling. It was a mathematician’s nightmare, a social scientist’s cringe; it elicited civil society’s collective shock, and highlighted governmental ineptitude. Yet its most damning effect is its potential to be a mortal blow to all those individuals with disability who yearn to be a part of the Pakistani fabric as economically sound and educated contributors. To put it simply, an ill-fated journey that began with statistical missteps might culminate in a societal tragedy of epic proportions. Statistical misinformation: According to the provisional data, there are currently less than one million persons with disability residing in Pakistan (0.48 per cent of the total population), a figure which is illogically less than that of the previous census conducted in 1998 (which stated the figure to be at 2.38pc of the total population or around 3.2m people). The global estimate of persons with disabilities is 10pc to 15pc of the world population according to the World Health Organisation, which if applied to Pakistan would number 20m to 31m. The census has pushed the disabled further to the fringes. Compared to the most recent population figures for many developed nations, let alone developing countries, the number of persons with disabilities is, on average, higher than 10pc nationally; a statistic corroborated by the 19pc of Americans declaring a disability in 2010. In a developing nation such as Pakistan, a 0.48pc figure is not simply logically unsound, but also systematically and patently unjust to a vast majority of an already underrepresented and under-resourced segment of the population, that continues to lag woefully behind on all human development indicators. 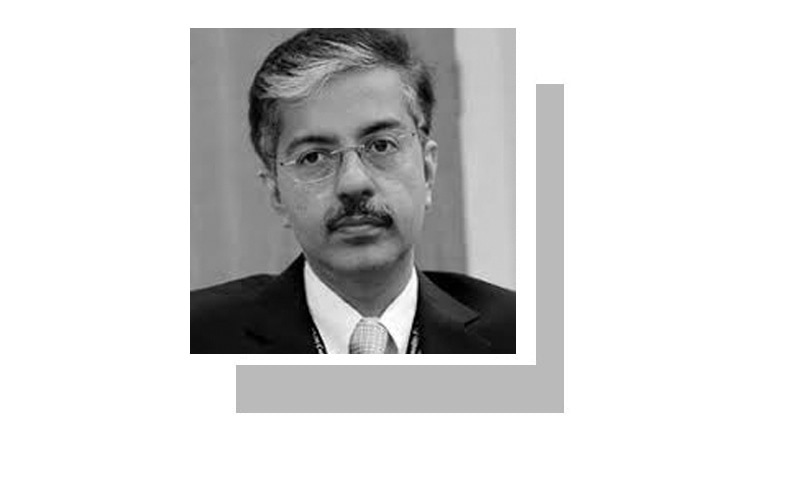 Due to glaring missteps on the part of the Pakistan Bureau of Statistics, none of the provisions for the inclusion of this frequently underrepresented community were added to the documentation in the initial stages of the census. The process which was followed made disability inclusion an unplanned and ineffective afterthought as opposed to a scientific, empathetic and effectively executed consideration. With elections looming large on the horizon, and a significant part of the population misrepresented — the political ramifications are significant. The geographical spread of persons with disabilities would mean that pivotal legislation at the provincial and federal levels will be impacted, leading to disproportionate resource allocation. Campaigning across the country will not be catered to the most disenfranchised, yet again — thus not allowing for the right stakeholders to be represented. Voting stations will not get the necessary accessibility considerations that would have been warranted had the numbers been accurately depicted. Ironically, a democratic process that is meant to showcase the strength of equality amongst all, irrespective of disability, will end up disenfranchising the ones most in need of an equal seat. Societal impact: We need look no further than a street corner to find a community that is marginalised on a perpetual basis by unequal access to schools, hospitals, workplaces and public transport. Coupled with facing barriers to social inclusion due to regressive mindsets, lack of visibility in the population census serves to institutionalise discriminatory practices. The inclusion of minorities in mainstream society has been proven in many cases to not only foster greater social awareness, but also economic and educational development, especially in a culturally diverse country such as Pakistan. The grossly misrepresented numbers resonate indivi­du­ally, ins­­­ti­­­tu­­­tionally, and socially. As a result, a vast majority of our population is pushed further to the fringes, and perhaps to the road; it increases the disparity between the haves and have-nots; disabilities become more of a social taboo; families feel more burdened; children more alienated; government increasingly unconcerned — thus making positive and progressive change an elusive and increasingly unattainable goal. As a stakeholder in the advancement of a philosophy of ‘Pakistan for all’, we need to come together to usher a paradigm change which translates charity to empathy; removes perception-based societal barriers; values persons with disabilities as social assets, and not as liabilities. A Pakistan where the deaf are heard and the visually impaired can give a vision; where the intellectually impaired can earn a livelihood, putting a smile on their families’ faces; and one where the physically impaired can scale new heights to grab the reins of their destiny. Seventy years on, an inalienable right of our nation is to see hope translating into tangible change. This change can only happen if we come together to right historical wrongs and raise a voice for those who have been silenced. Excellent write-up. Thanks to author for highlighting this important issue about which most of us are oblivious. This is very perturbing that the census has failed to register such a vulnerable segment of our society. Unfortunately, Pakistanis are totally insensitive towards disabled persons. Last year, I was researching on the resources available in Pakistan for children with Autism. I was shocked to learn that there is no separate category of autism in the list of disability. There is no law on autism and there is no official centre for them. Ironically, autism is being considered a mental illness, which is far from right. We need to act like a civilized nation and be humane towards these unfortunate people.